Everyone wants a brighter, whiter smile. but to your self-esteem, as well. Over the counter whitening remedies are budget-friendly in the short run, however certainly not a permanent solution to your quest for a brighter smile. and combine it with a dream day of shopping in NYC with your favorite gal pal? I know, I'm so there! and you have the Who Makes You Smile Sweepstakes! Teeth-whitening smile makeover with New York City Top Dentist, Dr. Robert Rawdin. Photo shoot with a professional photographer—plus Hair and Makeup for winner and guest. Airfare and hotel for the winner and guest (Two economy class flights; one hotel room). $1,000 AmEx Gift Card for spending money. The top contestants living within 100 miles of the regional prize locations will win a free teeth-whitening session with the top dentist in their area. Every contestant has the opportunity to win a daily-teeth-whitening prize from our sponsor Love That White Smile! Who would you take to NYC if you won the Grand Prize? 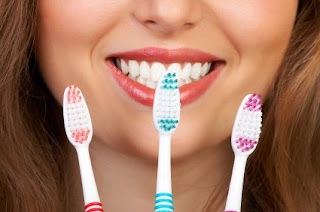 Have you ever had your teeth professional whitened? Where would you shop in NYC if you had $1000 to burn? Thank you to Top Dentists for sponsoring this introduction. Images and information sourced from various Top Dentist sites. Opinions above are both honest and my own. I would love a trip to NYC. I wouldn't want to shop as much as I would enjoy sightseeing. Perfect sweepstakes. Trip to new york and shopping spree, what more could you ask for. I was one of those who joined this contest but unfortunately, I didn't win. It was so exciting to see this free teeth make over and a chance to have to do it with a friend. I think I'll just have an appointment with my cosmetic dentist Los Angeles next month to whiten my teeth. I'm surprised that they now have contests like this. I hope I get my chance too to have free teeth whitening because it's really expensive. What an awesome giveaway! I would have loved to join and win a free trip to NYC. 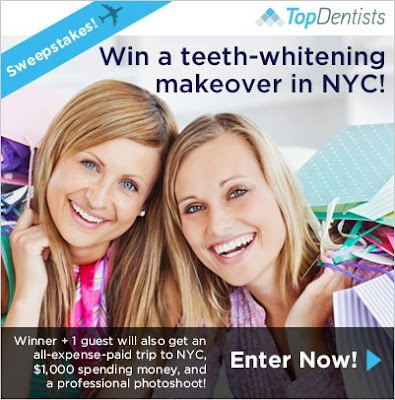 If I didn't have a great dentist studio city ca, I would really regret not joining this contest.